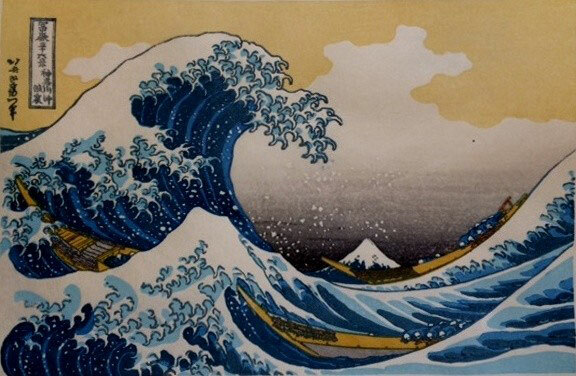 Speaking of Ukiyo-e, "Great wave off Kanagawa" and "Red fuji" by Hokusai. Why don't you feel the japanese culture with Ukiyo-e printing ws? Why do not you challenge "Great wave off Kanagawa" or "Red fuji" ? 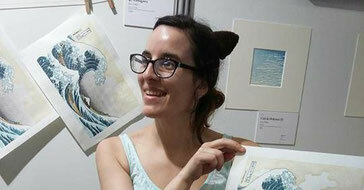 Let's get your Ukiyo-e prints by your printing. "Great wave off Kanagawa" or "Red fuji" ? Great wave off kanagawa by hokusai consists of 8 blocks. Fuji 36views is a charactric that the key-block is printed using the indigo blue called "vero ai". The last printing "Hukibokasi" is gradation printing using japanese towel "Tenugui". 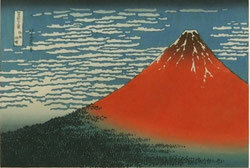 Red fuji by Hokusai consists of 4blocks. But it is completed seven times printing. 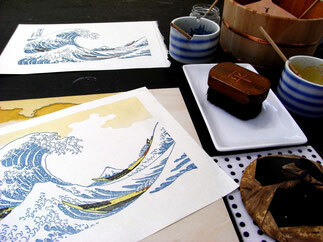 Most of the printing is gradation printing "Fukibokasi", it is the most difficult at ukiyo-e printing. This work shop takes 1 hour to 2 hours 30 minutes for 1 to 3 people. Reservation is possible from one person. In the case of from one person up to 2 people join, each one can experience "Great Wave off Kanagawa" or "Red Fuji"
Ýou don't need to prepare something at printing experience. If you are worry clothes dirty by printing, please have the apron or the like. I will support you that you get a good print, but I can not guarantee that. Please understand that the finish of your print depends on you. Fundamentally it is experience.